Surplus servers in an IT department are a companies "Capital Asset" that overtime depreciates in useful life and lose value. Servers IT infrastructure equipment are all "Capital Assets". Used servers no longer used becomes a loss for the organization. 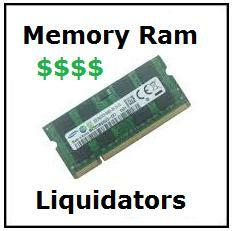 From an IT perspective used servers being replaced or are idle due to bankruptcy company shutdown can be resold to 3rd party liquidators - A-Z Computer Liquidators buys used servers and other IT related equipment. Data center administrators can now increase their tight budget by selling off their used servers for hardware refresh purchases. If you are planning to upgrade enterprise-level servers from your data center, get the financial capital you need to purchase new servers - sell used servers to A-Z Computer Liquidators. We give fair and fast quotes you on your server equipment. Free up your storage room space! Server Excess Consolidation: Does your company have excess servers? Our company remarkets used server equipment: IBM BladeCenter - HS20, HS21, HS22, IBM AS/400, pSeries, iSeries. Dell PowerEdge: 1950, 2950, R210, R310, R410, R510, R710,M1000e, M600, M610, M710, 1855, 1955. 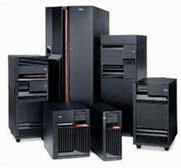 HP Proliant: DL320, DL360, DL380, DL385, DL580, DL585 - HP C7000 - BL Blade Servers BL260C, BL460C, BL480C, HP 9000, HP Integrity. Sun Enterprise 10K, 12k, 15k, 20k, E25K, Sun SunFire: V215, V245, V490, V890, T2000 and more. NOTE: We provide onsite inspections. Call to schedule an appointment. Hours of operation for inspections are Monday thru Friday between east coast and west coast liquidation agents available. We handle all shipping costs, so, give us a call today and get money back in your pocket for your used IT equipment. WE BUY SERVER MEMORY: 16GB, 32GB, 48GB, 64GB, 128GB, 192GB, 256GB, 288GB, 512GB, 1TB, 2TB, 4TB.